This site www.energothemes.com is represented by Stiger Claudiu-Mihai PFA, Bucharest, Romania. You may only use this site if you agree with these Terms and Conditions. You may not access or use the content of this site if you do not agree with these Terms and Conditions. In this case, you must leave the site immediately, without making a use of any products, services or any content of the site. EnergoThemes.com reserves the right to change or remove any part of the site's content without prior notice, so you should check this Terms and Conditions page periodically. These Terms and Conditions, in their updated version by the time of ordering, apply to all orders placed and electronically transmitted to us, and are agreed and recognized by you every time you place an order. These Terms and Conditions act as a contract between Stiger Claudiu-Mihai PFA ("Provider") and you ("Client"). When you place an order on this site, you make a purchase offer. Your offer becames accepted by us once the order price has beed paid by you and the purchased product was electronically delivered to you either to the email address you specified in your order or by uploading it into your Downloads section from your site account. When you make an online order, we offer PayPal as payment method. However for custom projects/non standard products, we can accept other forms of payment agreed between Provider and Client at that moment. You understand and agree that any product we deliver to you is not sold, it is licensed. You buy the right to use our products for an unlimited period of time. You can not claim ownership right or intellectual property to any of our products, modified or unmodified. Product license is issued per storefront URL, not per domain. Registering a domain it does not mean that you may use our product on subdomains or subdirectories of that domain. 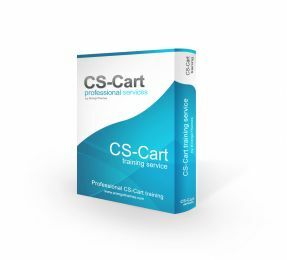 These are considered different storefront URL's and therefore a license must be purchased for each storefront URL you want to install and use our product on. You have the right to use each individual product you purchased on ONE single storefront URL and ONLY on the storefront URL you declare/register during your purchase. It can either be a storefront URL you own, or a storefront URL of a client of yours. Should you need, in addition to the declared/registered storefront URL you may also use our product on a development storefront URL for ongoing development. In this case, please contact us here https://www.energothemes.com/contact-us.html (choose the "Licensing" department) and send us the development URL address so that we may license it. The development license will be issued at no cost, however, the development URL should always be closed for public access, and should be used exclusively for development purposes only. Installing and/or using our products on non-registered URLs will be considered unauthorized/illegal use of our products and may result in legal action against such unauthorized/illegal use. Also, unauthorized/illegal use of our products will lead to an immediate license suspension and account suspension without any prior notice. We do not install any of our products. We only install our products if an installation service has been purchased by you. This is an optional paid service. Each product has an installation guide. This installation guide could be found inside of the purchased product. 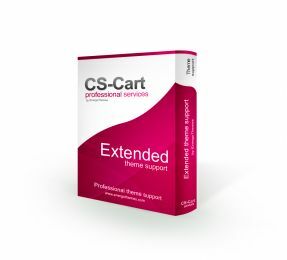 Support is offered ONLY for the latest versions of our products. We do not support earlier versions of our products. Also, the support we offer refers strictly to questions or help related exclusvely to products already created by us and purchased by you, and it is limited to a specified amount of time according to your purchase. Support does not refer to questions or help regarding how to create custom changes or custom code to any of our products or third party products, softwares or parts of software, unless you contracted us for a such service. 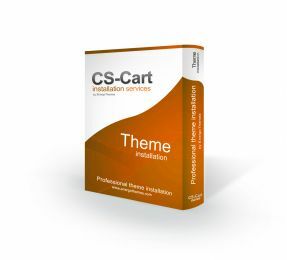 Support we offer does not include customizations for any of our products nor customizations for third party software(s)/product(s), unless you contracted us for a such service. Also, we do not offer support for third party changes/customizations, softwares, addons, modules. You are allowed to make any modifications to your purchased product to fit your needs and purpose. In case you make changes, you take all the responsability for those changes, we are not responsible for any eventual negative effects resulted. However, since we are the theme copyright owners, the following you are not authorized to add anywhere on your website using any of our themes: "Designed by Your Company", "Designed by www.yourwebsite.com", "Developed by Your Company" or "Developed by www.yourwebsite.com", or any related phrases. You only have the option to keep "Designed by EnergoThemes" link, which is optional. Also, as part of our copyright you are not authorized to rename the theme files and/or folders. You are not autorized to directly or indirectly sell, resell, rent or provide for free any of our products whithout prior written consent from www.energothemes.com. You are not authorized to reproduce, or incorporate any of our products in other software. Products can be made part of a portfolio only with a backlink to www.energothemes.com. You are not authorized to disclose any part of the order ID including, but not limited to order ID, download link, etc. You are prohibited from sharing any download links of purchased products with any third parties or websites. Energothemes.com does not guarantee that the templates/software provided will not contain inaccuracies or errors. These are provided "as it is". 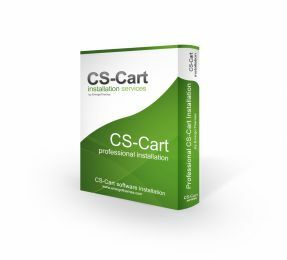 We do not guarantee compatibility with third party changes, software, addons, modules. You agree to use the purchased product(s) at your own risk and you agree to take responsibility for regular backups of important data. Energothemes.com is not responsible in any way, shape or form for Client inability to use the products due to third party direct, indirect, special or incidently damage, nor for any profit loss, business interruption, loss of data or programs. As the product you buy is digital, all sales are final. Before you make a purchase on our site of any product, you must acknowledge and agree that we do not offer any refunds. We believe that each user has had or taken sufficient time to analyze the quality of our products at our fully working demo that we provide for free use. However, if you have any problem with any of our products we'll try to fix it as soon as possible. The demo stores are presented to you only for the purpose of making an informative buying decision. They are for demostration purposses only, and no orders placed through any of these demo stores will be fullfield. We reserve the right to immediately suspend your account and ban any activity of yours on energothemes.com without prior notice should you violate any of the above Terms and Conditions.